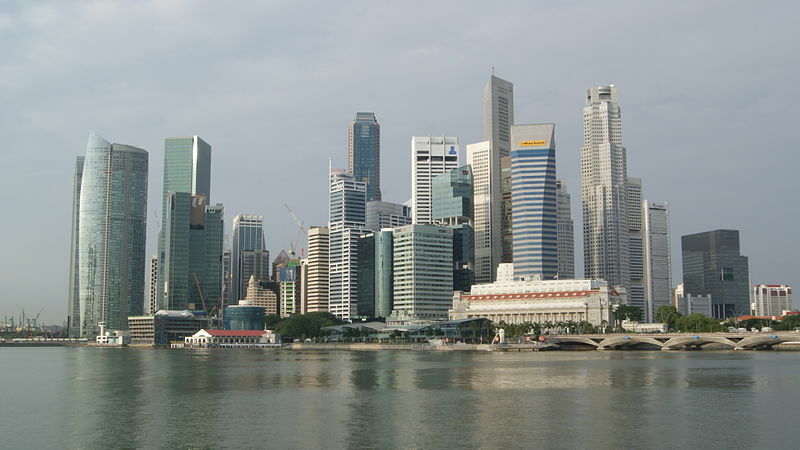 Singapore’s insolvency and restructuring landscape has commended itself to a series of recent legislative amendments. These amendments are part of Singapore’s efforts to enhance its insolvency and restructuring laws to strengthen itself as an international centre for debt restructuring. In 2017, a new set of provisions relating to the scheme of arrangement procedure was introduced vide the Companies (Amendment) Act 2017. Of particular interest is the introduction of s 211B of the Companies Act (Cap 50) (“CA”) (all references to statutory provisions henceforth refer to provisions of the CA unless otherwise stated). Modelled after Chapter 11 of the US Bankruptcy Code, a noteworthy feature of s 211B is the 30-day automatic moratorium which arises once an application for a moratorium is filed. While s 211B is meant to provide debtor companies with the breathing space to formulate a rescue plan, such debtor relief is not unbridled (Re IM Skaugen SE  SGHC 259 at ). The countervailing policy consideration of creditor protection has found expression in s 211D. Specifically, when a moratorium is in force, s 211D(1)(a) allows creditors to apply to court for an order to restrain the company from disposing of its property other than in good faith and in the ordinary course of its business (“s 211D Order”). It is presently unclear when a s 211D Order should be granted as s 211D has not received judicial scrutiny. In light of the importance of s 211D for creditor protection, and its continued relevance even after the Insolvency, Restructuring and Dissolution Act 2018 comes into force (seeing that s 211D has been re-enacted in s 66 of the said Act), it is pertinent to discuss what the applicable test for the grant of a 211D Order should be. I argue that guidance should be drawn from the principles underpinning the grant of Mareva relief. This finds justification in the common features that s 211D shares with a Mareva injunction, which may be discerned from the legislative history of s 211D. However, the Mareva principles should be appropriately adapted to the scheme of arrangement procedure. To this end, I propose that a s 211D Order should only be granted when there is a real risk that the company will be disposing of its property to the prejudice of the general run of its creditors (the “Proposed Test”). Careful examination of its legislative history reveals that s 211D was envisioned to provide prospective protection to creditors. In 2013, when the Insolvency Law Reform Committee (“ILRC”) first considered whether an automatic moratorium should arise upon the filing of an application to court, the ILRC rejected this suggestion, noting that “such an extension would be unfair to creditors and could potentially lead to abuse as the company ... would not be subject to any restrictions or control on the disposal and application of its assets” (Final Report of the ILRC (2013) (“2013 ILRC Report”) at ). However, this concern was ultimately assuaged with the introduction of, inter alia, s 211D, which aims to provide “prospective protection to creditors while the moratorium is in place” (Ministry of Law’s Response to Feedback from Public Consultation on the Draft Companies (Amendment) Bill 2017 (“MinLaw’s Response”) at [5.1.2]). Since the purpose of s 211D is to prevent abuse and provide prospective protection to creditors, the applicable test must therefore be pre-emptive, rather than reactive, in nature. When read together with the subject matter of s 211D (i.e. the company’s property), this must mean that s 211D is engaged where there is a risk that the company will dispose of its property. Additionally, it was legislative intent for s 211D to strike a balance between the debtor company’s interest in benefitting from a moratorium and the creditors’ interest in preventing abuse of the moratorium by the company at their expense (MinLaw’s Response at [5.1.2]). Such a balance can only be struck by ensuring that s 211D Orders are granted judiciously and sparingly. Holding otherwise would “dilute the practicality, expediency and effectiveness of the scheme of arrangement procedure”, thus curtailing some of the strongest advantages of the said procedure (2013 ILRC Report at ). This would represent a step backwards in Singapore’s pursuit of its objective of creating a restructuring friendly ecosystem. Thus, in accordance with legislative intent, the applicable standard guiding the grant of a s 211D Order should not be a low one. Preliminarily, the two principal requirements for the grant of Mareva relief are namely: (1) a good arguable case on the claim; and (2) a real risk that the defendant will dissipate its assets to frustrate an existing or anticipated judgment (the “Mareva test”) (JTrust Asia Pte Ltd v Group Lease Holdings Pte Ltd  2 SLR 159 (“JTrust Asia”) at ). The second requirement, in particular, reflects the pre-emptive nature of a Mareva injunction; it pre-empts the injustice of the claimant obtaining a paper judgment. It also shows that a Mareva injunction is sparingly granted — the claimant has to show a real risk, and not a mere risk of dissipation. These features parallel those of s 211D as discussed earlier. These similarities might be explained by the common purpose and nature that both Mareva relief and a s 211D Order share. First, although Mareva relief was a creature of the courts and s 211D conceptualised by the legislature, both were developed in response to the need to protect a pool of assets. A Mareva injunction “freezes” the assets of the defendant to prevent him from dealing with or dissipating his assets to stultify any judgment given by the court in the action (Law and Practice of Injunctions, Interim Measures and Search Orders in Singapore (Sweet & Maxwell, 2017) (Daniel Koh gen ed) at [1.035]). Similarly, s 211D limits how a company may deal with its property during the moratorium period, by imposing conditions on any dispositions of its property. Moreover, non-compliance with a Mareva injunction and a s 211D Order carry the same consequence: contempt of court (MinLaw’s Response at [5.2.2]). Secondly, Mareva relief and a s 211D Order are both ancillary in nature insofar as they are not finally determinative of the parties’ rights. A Mareva injunction is ancillary to the claimant’s action against the defendant as it only seeks to prevent the injustice of a paper judgment and does not affect the substantive merits of the said action. Likewise, s 211D only extends protection to deserving creditors whilst a moratorium is in place; it has no bearing on the rights of the company or its creditors under any scheme of arrangement that may eventually become binding on the parties. In light of the abovementioned similarities, it is prudent to use the Mareva test as the starting point to determine the applicable test for a s 211D Order. Yet, a procrustean importation of this test to s 211D is undesirable, for adaptations must be made to account for the unique considerations that arise in the context of a scheme of arrangement. I propose that the requirement of “a good arguable case” should be dispensed with as the utility of this requirement is inapplicable in the context of a scheme of arrangement. This requirement examines the apparent strength or weakness of the merits of the claimant’s case; it represents the minimum threshold that the claimant has to meet before the court may exercise its jurisdiction to grant Mareva relief (Steven Gee QC, Commercial Injunctions (Sweet & Maxwell, 6th Ed, 2016) at [12.026]). The rationale for assessing the merits of the claimant’s case stems from the potentially draconian effects that a Mareva injunction has. It can, for instance, prevent a defendant from dealing with its assets entirely and even extend to assets worldwide. The imposition of a minimum threshold protects a defendant from unfairly being made to bear these harsh consequences where the claim in question is frivolous, vexatious, or wholly unmeritorious; it ensures that only deserving claimants are afforded the benefit of Mareva relief. In contrast, a s 211D Order is much less restrictive. While s 211D prohibits, inter alia, any disposal that is not carried out in the ordinary course of business of the company, this phrase has been construed narrowly. In the context of financial assistance, it has been held that a transaction not carried out in the ordinary course of business is one that is exceptional, artificial, and which the company would not enter into for its own sake in its commercial interests (Belmont Finance Corp v Williams Furniture Ltd (No 2)  1 All ER 383 at 403). It is sound to extend this narrow interpretation to the s 211D context. It is entirely conceivable for a company to undertake bona fide restructuring efforts involving disposals which may be atypical but nevertheless in its commercial interests. Consonant with legislative intent of providing debtor companies with greater breathing space to restructure, such disposals should not fall foul of s 211D. This can only be achieved by adopting a narrow interpretation of the s 211D prohibitions. Proceeding on this basis, restrictions imposed under a s 211D Order are likely to be limited in scope and far less draconian than a Mareva injunction. Consequently, the case for the imposition of the requirement of “a good arguable case” in the s 211D context becomes less convincing. Another justification for the requirement finds its roots in the equitable maxim that equity does not act in vain (Law and Practice of Injunctions, Interim Measures and Search Orders in Singapore at [2.054]). Requiring the claimant to demonstrate the merits of its claim to the standard of “a good arguable case” reduces the occurrence of a situation where a Mareva injunction is granted, yet the claimant’s action against the defendant ultimately fails, thus rendering the court’s grant of the injunction idle and ineffectual. Yet, one would be hard-pressed importing this rationale to s 211D. Assuming, arguendo, a s 211D Order is granted but a scheme of arrangement does not eventually come to fruition, the court cannot be said to have acted in vain in granting the said Order because the company’s pool of assets still deserves protection during this interim period. This finds support in the duty that directors have, when the company is in a parlous financial situation, to ensure that the company’s property is not dissipated or exploited for their own benefit to the prejudice of creditors’ interests (Liquidators of Progen Engineering Pte Ltd v Progen Holdings Ltd  4 SLR 1089 at ). Perhaps the strongest reason in favour of retaining the requirement of “a good arguable case” is the need to prevent creditors with unmeritorious claims from forestalling the company’s restructuring efforts by making s 211D applications. However, the existing apparatus of the courts can address this concern, without the need for the said requirement. If a creditor truly has no genuine interest in obtaining a s 211D Order, and is bringing the application for a collateral or ulterior purpose, this would constitute an abuse of the court’s process and the court can exercise its discretion to decline to make the order. Such an approach is also consistent with other areas of insolvency law, where the courts generally do not examine the merits of a creditor’s claim as a preliminary or threshold matter. For instance, a creditor who attempts to use the winding-up process to recover a disputed debt will be restrained as it is an abuse of process to do so (Jurong Shipyard Pte Ltd v BNP Paribas  4 SLR(R) 33 at ). Thus, the said requirement should not be imported to the s 211D context. The second requirement for the grant of Mareva relief, as stated earlier, is that there must be a real risk of dissipation to frustrate the enforcement of an anticipated judgment. Two issues arise when assessing if this requirement can be applied to s 211D. First, a direct importation of this requirement makes no sense as there is no “judgment” to speak of in the s 211D context. Even if one were to draw a parallel, would the “judgment” refer to the intended scheme of arrangement, or should the scheme fail, a liquidation or judicial management scenario? Additionally, while it is clear that a claimant has an interest in obtaining a favourable judgment, this is less clear in the context of a scheme of arrangement. As a company might have secured, unsecured, contingent and prospective creditors, it is difficult to generalise an outcome in which all creditors would have a common interest. Thus, this requirement, as it stands, is incompatible with s 211D. The second issue is that although the legislative history of s 211D informs us that the threshold for the grant of a s 211D Order should not be a low one, it is unclear whether the standard is that of a real risk. I propose that the standard should be as such. This would accord with the policy shift in favour of allowing debtor companies greater breathing space to restructure; unless there is some “solid evidence” to demonstrate the risk of dissipation, and not just bare assertions of fact, a company should not be put through additional trouble and effort to ensure that its dispositions comply with s 211D, and neither should a company whose restructuring efforts seek to chart a new course and fall outside its usual scope of business be hindered from doing so. Taking on board these considerations, and making the appropriate modifications, a s 211D Order should be granted where there is a real risk that the company will dispose of its property to the prejudice of the general run of its creditors. In assessing whether the standard of a “real risk” is made out, guidance can be drawn from the factors which the courts generally consider in the Mareva context, such as the nature of the assets and the ease with which they can be disposed of (JTrust Asia at ). More importantly, the court can and should also consider factors unique to the scheme of arrangement procedure. For instance, under s 211B(6)(b), upon granting a moratorium, the court must order the company to disclose to its creditors, inter alia, information relating to disposals of any property not later than 14 days after the date of the disposal. Incriminating information acquired by creditors can form the basis of an application under s 211D. Should the same test apply regardless of when the application is brought? I suggest that the preferred view is that the same test should apply regardless of whether a s 211D application is made when the automatic moratorium is in place or when the moratorium has been renewed under s 211B(1). However, the strength with which the applicant creditor has to establish his case would vary accordingly, depending on the foreseeable hardship that would be caused to the company. It is not desirable to lay down a hard and fast rule going either way and the precise application of the Proposed Test in different circumstances should be left to the courts to determine at the appropriate juncture. Indeed, this fact-centric approach has been the approach of Parliament in relation to the scheme of arrangement procedure. For instance, the statutory requirements for disclosure of information by the company to its creditors “can be modified by the judge hearing the case, who is best placed to consider the complexity of the case” (Report of the Committee to Strengthen Singapore as an International Centre for Debt Restructuring (20 April 2016 at [3.21]). The Ministry of Law has also declined to statutorily provide for the length of a s 211B moratorium, noting instead that “the Court hearing the matter is best placed to determine the appropriate length ... to be granted in a given case” (MinLaw’s Response at [3.1.8]). Thus, applying the same Proposed Test but leaving open how it should operate in different circumstances is preferred. What should be the procedure to make a s 211D application? It is clear that s 211D applications must be made by originating summons, in accordance with O 88 r 2 of the Rules of Court (Cap 322, R 5, 2014 Rev Ed). What is less apparent is whether such applications should be made inter partes or ex parte. While it is sensible for the position to mirror that of interlocutory injunctions, which are heard inter partes save in cases of urgency, most s 211D applications will, in practice, likely be heard inter partes. This is because an application made during the 30-day automatic moratorium period will likely be heard alongside the company’s application to renew the moratorium to save time and costs from a case-management perspective, while an application made during the extended moratorium period is likely to be accompanied by another application: the discharge or variation of the moratorium under s 211B(10). In both of the aforementioned situations, the s 211D application would in all likelihood be heard inter partes. In the past lustrum, strides were made in pursuit of the goal of establishing Singapore as an attractive international centre for debt restructuring. While it remains to be seen what would constitute a meritorious case justifying a s 211D Order, it is hoped that the Proposed Test has set the groundwork for the considerations that should inform the grant of the said Order. Clarity in the application of s 211D, in particular how the balance between debtor relief and creditor protection should be best struck, will invariably lend itself to the nation’s aspirations. * The opinions contained in this case comment reflect the author’s own views and are not to be understood as reflecting the views of the author’s employers or colleagues.